But He said, Leave the children alone! Allow the little ones to come to Me, and do not forbid or restrain or hinder them, for of such [as these] is the kingdom of heaven composed. These flags are the perfect size for use in children's ministries, at home for personal worship time, or during service and are an affordable and simple way for both children and adults to be involved in flag worship. 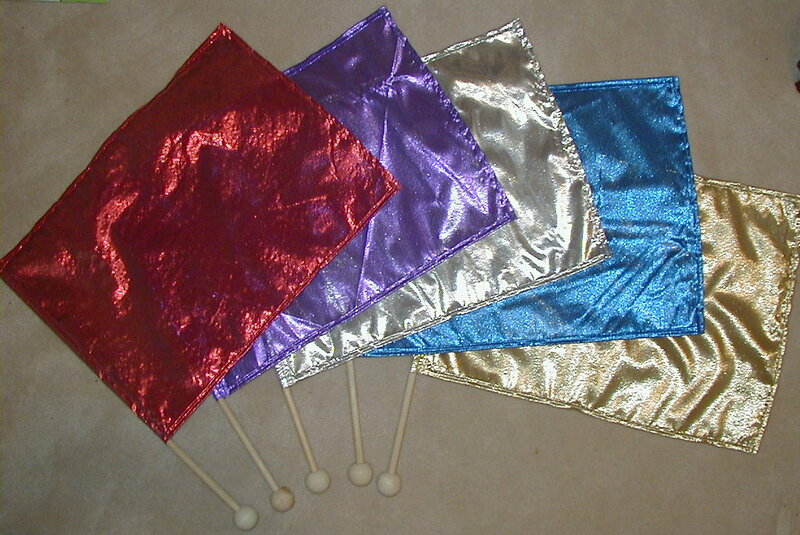 They are made from a shiny tissue lame material and are available in a variety of colors (see color list below) These flags, coupled with the bible teachings of scriptural significance of flags and color meanings, allow the worshipper to participate in the expression of praise and worship to our mighty God. 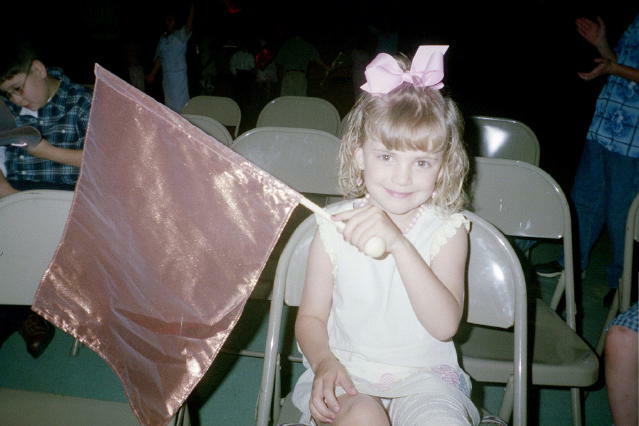 The Children's Praise Flag/Personal Praise Flag (non-rotating) measures approximately 14" x 20" with an added 'twirl' ball on the bottom end (to look more like the adult twirl flags). Each flag is securely mounted on an 18" wooden dowel via hot glue. 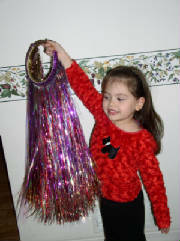 Personal Praise Flag w/ball - $12.99/ea. We now have available a child-sized glory ring to accommodate smaller-sized worshippers! These 4" rings look very similar to our larger adult ones, but the difference is they just have a little less 'product' which makes them a little more reasonably-priced, too! 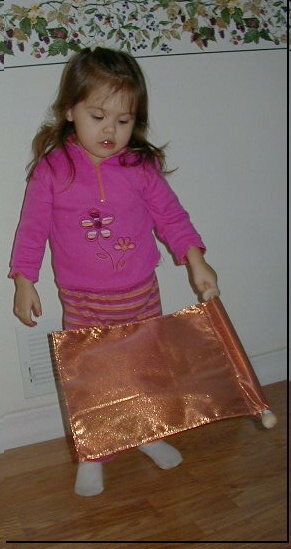 available colors: solid red, red/gold, red/silver, solid gold, and gold/iridescent. Custom orders considered if we have the requested colors in-stock.